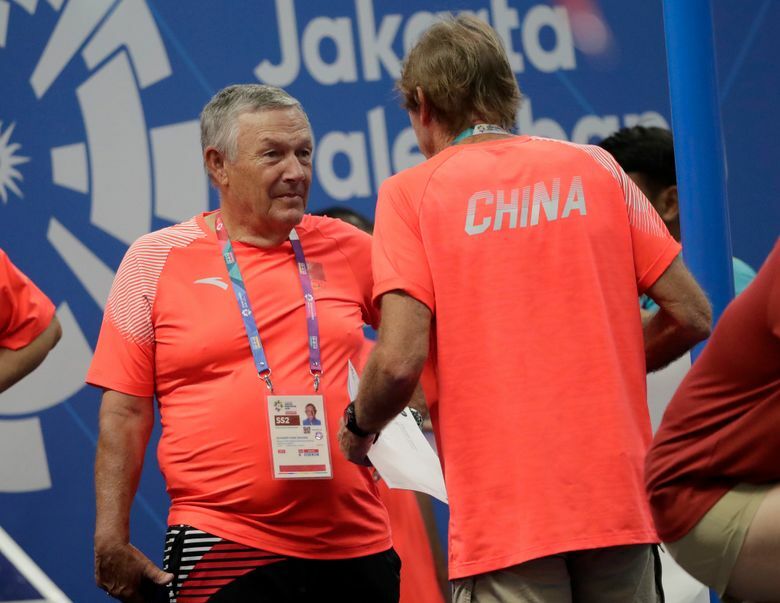 JAKARTA, Indonesia (AP) — Mark Schubert is unmistakable on the pool deck at the Asian Games. 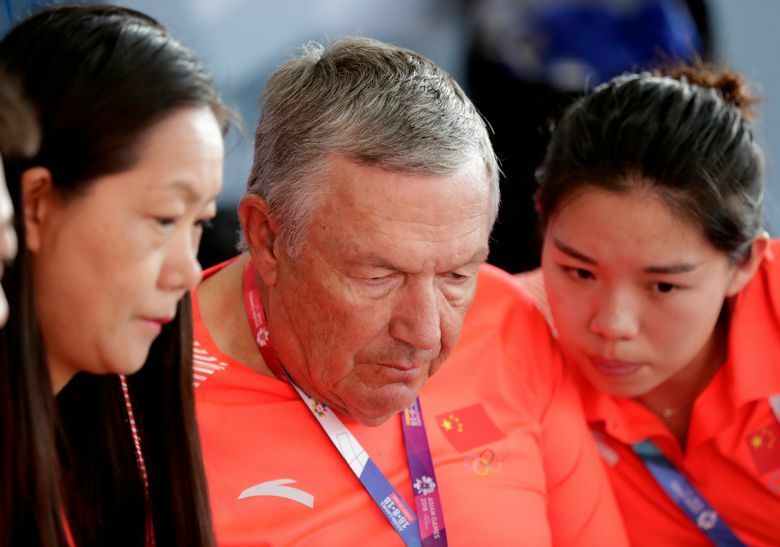 The former head coach of the U.S. national swimming team is now wearing different colors — an orange shirt with the Chinese flag on his chest. 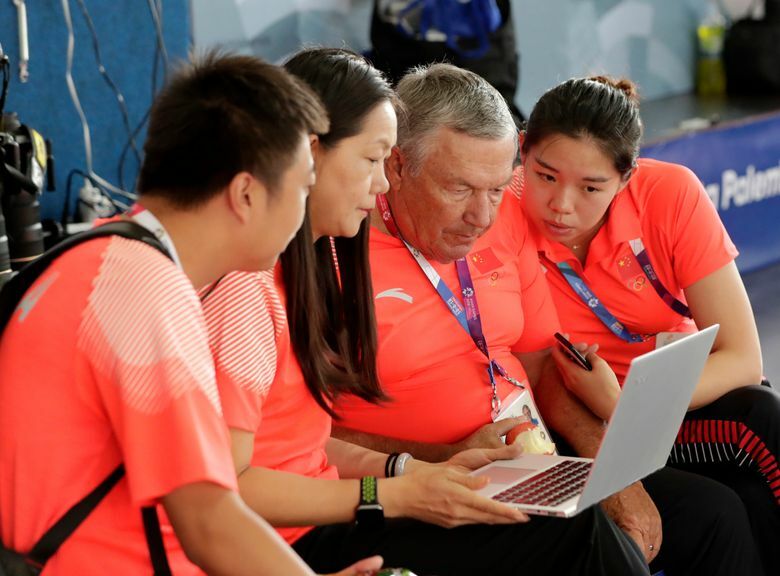 Dismissed in 2010 as the U.S. national team head coach amid a sexual abuse scandal, Schubert has been working for a year as a “part-time adviser” for the Chinese team. “It’s feels strange, very strange,” Schubert told The Associated Press on Wednesday as he stood alongside the warm-up pool at the Asian Games. Schubert is a controversial figure despite unprecedented success. Some fault him for not doing enough in his long career to protect swimmers from sexual abuse. Olympic swimmer Ariana Kukors Smith sued USA Swimming in May, alleging the sport’s national governing body knew her former coach, Sean Hutchison, sexually abused her as a minor and failed to protect her. Hutchison, an assistant coach on the 2008 U.S. Olympic team, has denied the allegations and has not been charged with a crime. After he was fired by USA Swimming, Schubert worked for a while with a then 40-year-old Janet Evans during her unsuccessful Olympic comeback. He has returned recently as a coach at the Mission Viejo Nadadores in southern California. 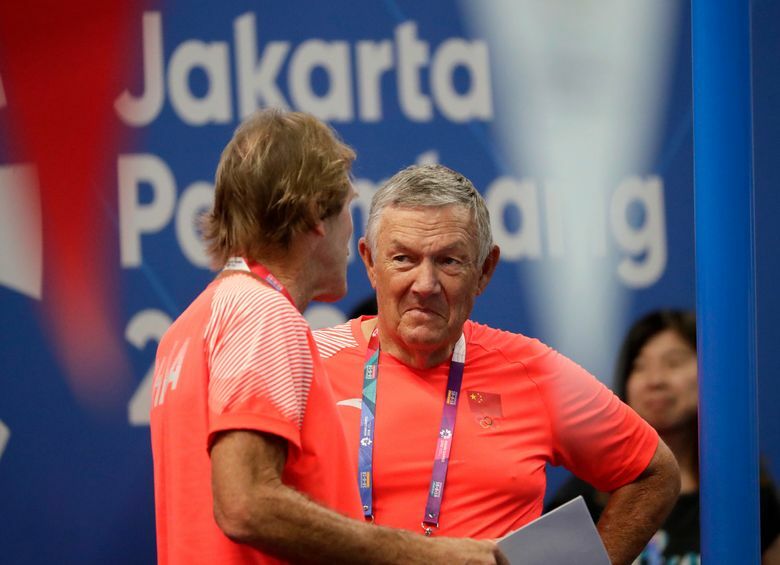 As the U.S. national team coach — Olympic coach in 2008 in Beijing — Schubert was outspoken about issues of doping involving Chinese swimmers. He said he was most critical beginning in 1994 at the world championships. “That’s when they got the really bad reputation, when they won almost every event in 1994,” Schubert said. “I think they’ve really made an effort to clean up. From what I’ve seen, most of the problems are out in the provinces with local coaches and kind of renegade athletes. Schubert said in the last year he’s held several camps in southern California with Chinese swimmers, who train with his mostly high school and college swimmers. “It’s good for my team because they can see how really good athletes train, and believe me I point it out to them,” Schubert said. Asked where China’s top swimmers could improve, he said there were four areas. Schubert said his current deal ends in just a few days, and he said it’s unclear if he will continue. “It’s up to them,” he said.